This spacious holiday home, located by the stream Saldalsbäcken, by the fell Hundfjället, is perfect for nature lovers who want to stay in a peaceful environment. The interior of the log cabin is light and airy, and tastefully decorated. There are three bedrooms, one of which is a mezzanine on the second floor. There cabin has a roofed terrace as well as a balcony. There's also a sauna. In the charming kitchen, you will find all of the necessary amenities, including a dishwasher. The well-equipped bathroom has underfloor heating features a WC, a washbasin, a shower cubicle and a sauna. In the bathroom you will also find a washing machine and a dryer. The cabin has a TV with Scandinavian channels. 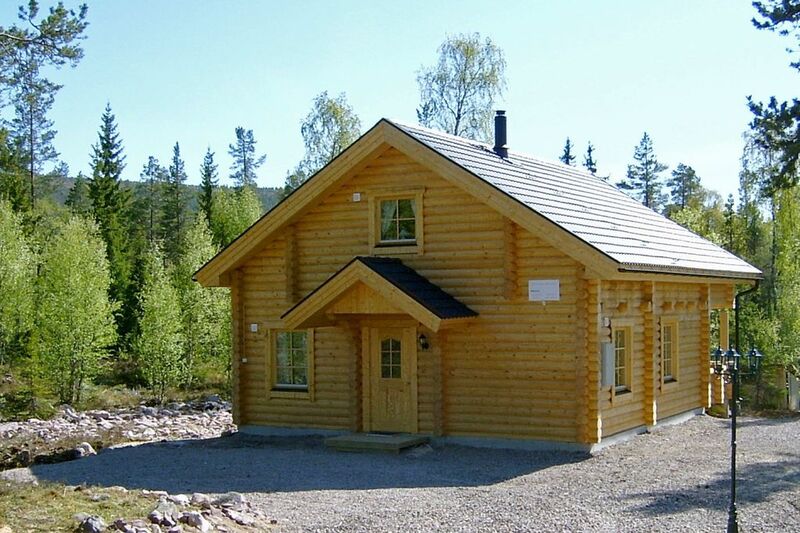 The cabin is set on a beautiful, natural plot and is only thirty metres from the river, where fishing is allowed. The closest bathing spot is four kilometres away, and the grocery store is only two kilometres away. You can buy your fishing permit at the ICA grocery store or the sports shop in Rörbäcksnäs. There are plenty of lovely hiking paths in the area. The neighbouring cottage, no. 38735 can also be rented. Welcome to a lovely holiday home!